enjoying Your Best Life Yet! What is Ayurveda Lifestyle Coaching? Ayurveda is the science of yoga. What works for one does not work for all. Ayurveda looks at the individual’s personal constitution, determining any strengths and /or imbalances. This information is used to create an individualized approach to transform, rejuvenate and bring balance to the body, mind and spirit. * Suggestions for practices and foods to support your desired lifestyle. Hybrid of Vinyasa and Iyengar yoga styles providing a strength and endurance challenge, while offering modifications to fit every body. Specific areas of training: Ayurveda, Deep Stretch, Senior and/or Chair, Beginner, Back-focused, Core/Balance, Mixed Level, Lean, Prenatal/Post-Partum, Restorative, Sweat, Sport, Yoga Therapy. Slow Flow (Level 1-2): This class is suitable for all levels comfortable with moving from standing to floor postures throughout class. Sessions are focused on body alignment, while building strength and flexibility. Sun salutations, pranayama (breathing practices), floor, standing and balance postures and meditation included. Morning Hatha Mix (Level 2-3): In this class, poses will be held a little longer, with options to go deeper into your practice of awareness. Focus on the breath and core enhancing poses, will energize you and keep you centered when stepping off the mat. A mix of sun salutations, pranayama, alignment and meditation with standing, seated and balancing postures create this physical class. Moon Energy Yoga (Level 1-2): In OCTOBER, we will observe the cycles of the moon to support and bring harmony o our personal energies. Each week is a different yoga style (Hatha, Yin, Restorative and Vinyasa) to correspond with the moon’s cycle and harmonize the rhythm of the mind/body with the rhythm of nature. Gentle Yoga (Level 1): Perfect for anyone new to yoga, anyone with physical concerns, or anyone wanting a slower pace to gain flexibility and release stress. This class will include, pranayama (breath work), body alignment, basic standing poses, standard balancing poses, stretching, meditation and relaxation. Customized workout for the individual, couples, or small groups. As a Medical Intuitive, I am able to discover inner struggles that can lead to illness. Mental and emotional experiences affect the human body long before they are detected or become an illness. This ability allows me to work with clients one-on-one or over the phone with a photo. A Medical Intuitive session provides information without diagnosis, complementing traditional medical health care. A Medical Intuition session is done in person, fully clothed, and seated in a chair. A session lasts 1 hour. Distance Medical Intuition may be done remotely when the client is unable to meet in person. Clients receive the same benefits with Distance Medical Intuition through the use of energy practices for this purpose. A photo of the client is helpful. Medical Intuition and Reiki flow well together. A combined Medical Intuition and Reiki session will offer healing and insights to continue your healing after the session. This session lasts approximately 1 hour and 15 minutes. Reiki is a Japanese term. A more literal translation for Rei is the natural spirit, the holy or the gift. Ki is translated as vital energy or feeling. The translation that has developed over time is The Universal Life Force. Reiki is not affiliated with any type of religious belief. Reiki is an energy healing used to reduce stress, enhance relaxation, and heal the spiritual, mental, physical and emotional bodies. A Reiki session is typically done in person, fully clothed, lying on a table or seated in a chair. The practitioner will use a light touch following a series of hand positions on or above the head, shoulders, back, chest, stomach and limbs. The client may also request hands be placed on an injury or place of discomfort. 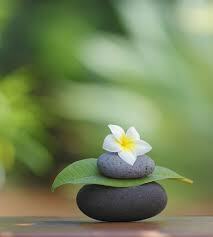 Distance Reiki may be done remotely when the client is unable to meet in person. Benefits of a Distance Reiki session are the same as an in-person session. Our pets are drawn to Reiki’s healing energy. Consider a Reiki session for your loved one. Reiki and Medical Intuition flow well together. A combined Reiki and Medical Intuition session will offer healing and insights to continue your healing after the session. This session lasts approximately 1 hour and 15 minutes.